Now that summer is well and truly here, I like to start thinking about how I’m going to attack the margins of my local commercial fisheries. 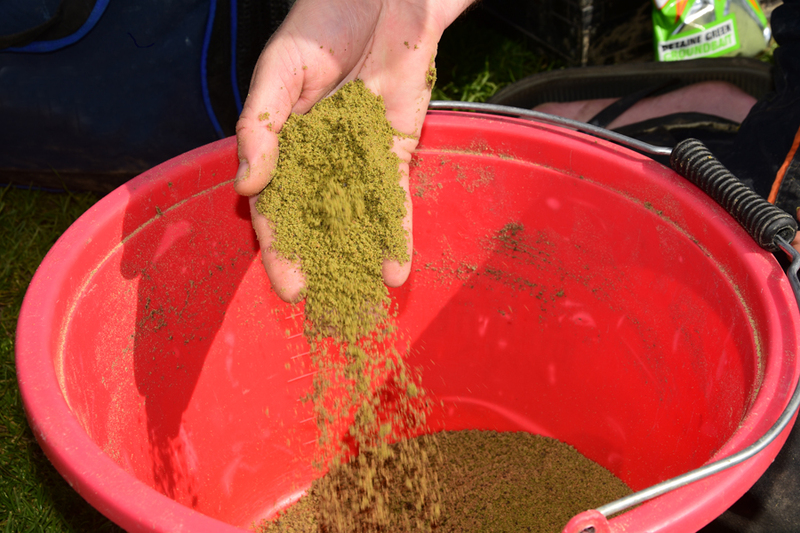 There are lots of ways of feeding the margins, but one of the most consistent is to big pot groundbait. ‘Cupping in’ has been my go-to margin attack for several years now and providing you find a reasonably shallow depth (less than two-feet) you can create a situation where big fish feed very confidently. 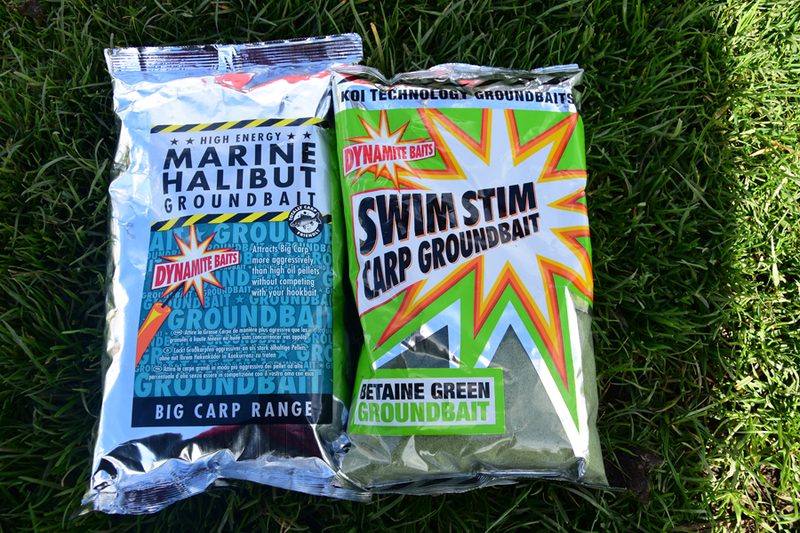 The mix I like to use when targeting carp and big F1s in the edge is Dynamite Marine Halibut Groundbait mixed 50:50 with Green Swim Stim, I then mix the groundbait to a heavy consistency before pushing through a maggot riddle. Kicking the swim off is all about timing. I think margins come in to life later in the afternoon, so I see little point feeding before then. When I decide to feed my margin, I’ll start with two large pole pots full of the mix and I’ll drop the bait in from a height, along with a couple of cups of lake water splashed over the top. This extra noise definitely attracts fish to the area. 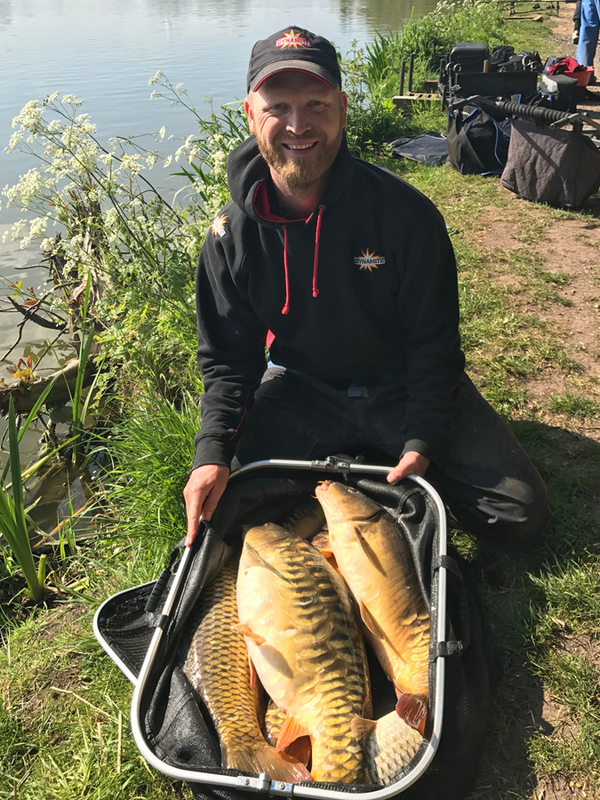 Once fish arrive, it’s simply a case of keeping them there and by feeding half a pot of the groundbait after each hooked fish, they usually stay until it’s time to pack up. 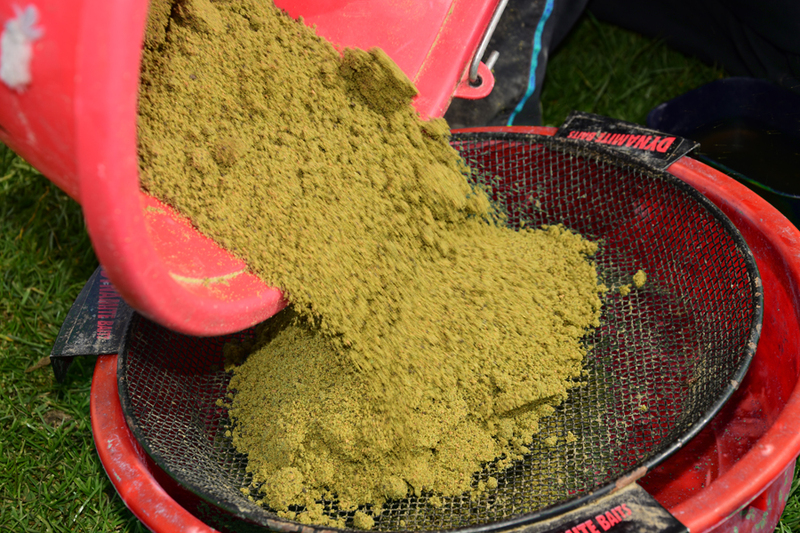 One trick that has been working for me is to over-wet the groundbait to an almost liquid consistently. By doing this it creates a lovely cloud that attracts fish like a magnet. When using this sloppy mix, line bites can become a problem though, so I now only use this tactic in very shallow water or when bites are at a real premium.